It was one of the more avandt-garde pairings in recent years - hautecouture fashion house Dior Homme and Parisian BMX bike manufacturors Bogarde. Given their first offering in 2017 was so well received, the marriage between the two designers has procuded another exquisite offspring – the ulta-luxe gold BMX bike. 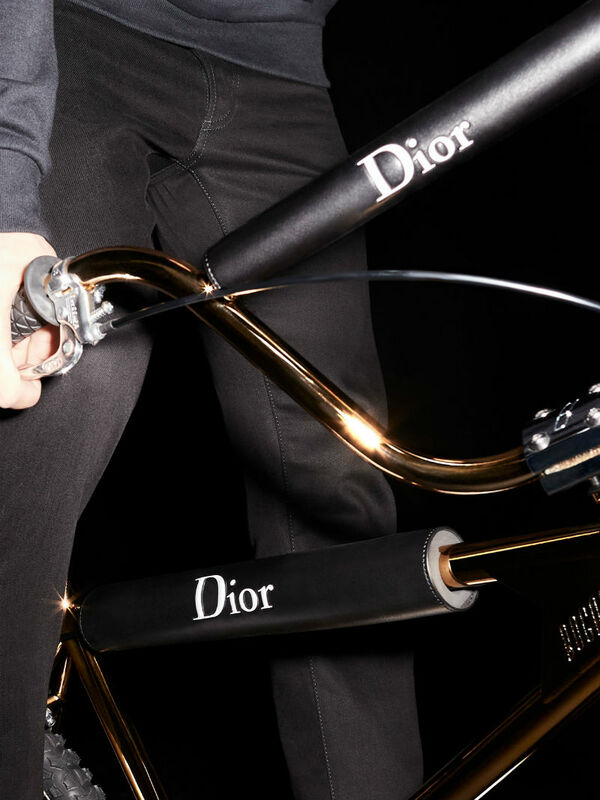 The limited offering merges the skill of Bogarde’s bike technicians with Dior’s classic aesthetic, producing a bike that is, surely, a little too perfect to take to a skate park anytime soon. Referencing Dior’s Autumn 18 gold capsule collection, the bike features a gold-metal finish on its handlebars with supple calfskin details on the seat. The Dior logo and a Bee appear on the brakes and frame of the sleek design.